A top quality Black back Jackal skin hide that originates from South Africa. We hand select our Black back Jackal skins so that you receive only a top quality graded hide. 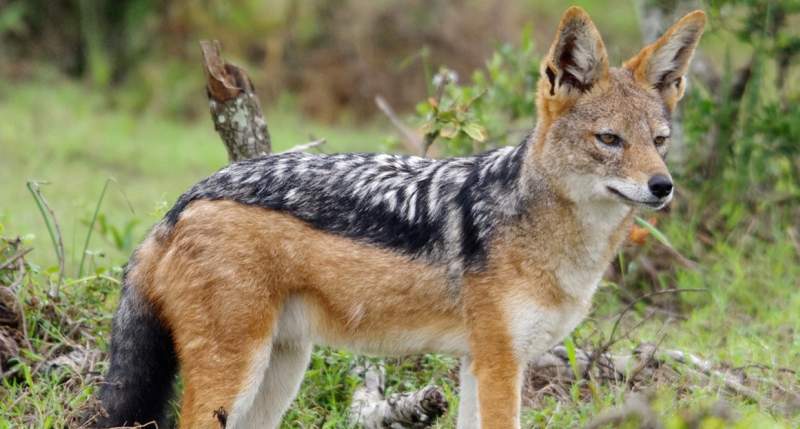 This Black back Jackal roams in most South African game reserves. All Black back Jackal skin hides are CITES approved to ensure that there has been no illegal culling or poaching of these pelts. All Jackal hides require permits for export purposes. The price of the permit is included in the shipping cost. All sizes listed are approximate. 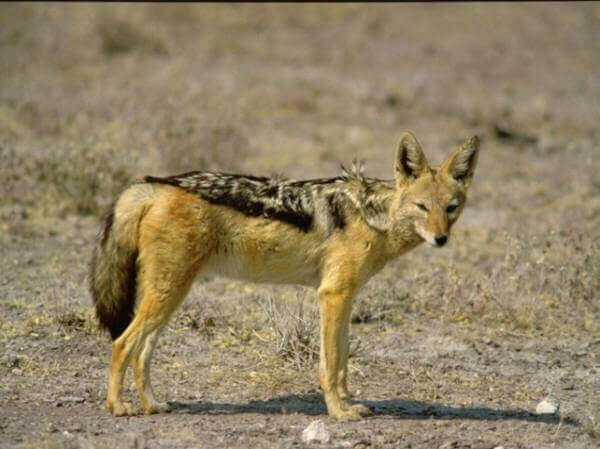 The Jackal skin you purchase and receive may differ just slightly in size, look, and/or pattern from the Black back Jackal skin hide shown in the picture because of the nature Black back Jackal skin hide each on is unique. 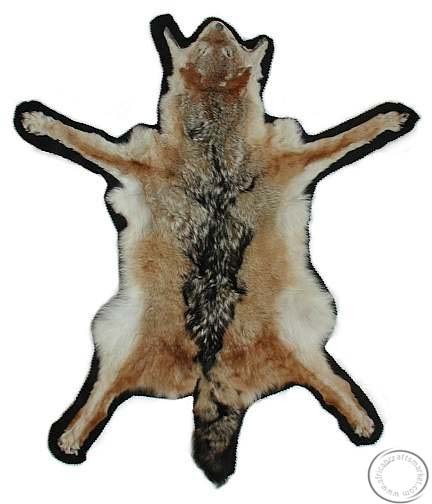 We have 0 black back jackal hides in stock that do not have any felt backing which is seen in the picture above. Both nocturnal and diurnal. They are very well known for their weariness and cunning behaviors to avoid predators and traps. They will use burrows dug by other species. 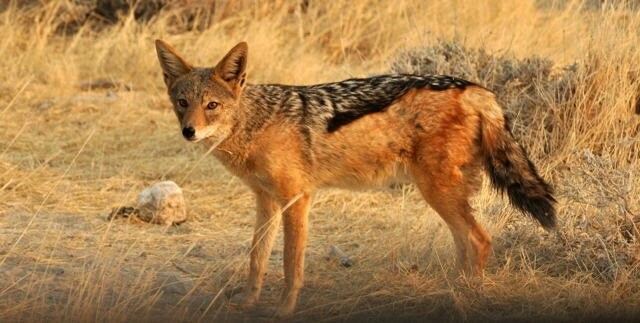 Jackals live singly or in pairs, and are sometimes found in small packs. They are among the few mammalian species in which the male and female mate for life. Mated pairs are territorial, and both the female and male mark and defend the boundaries of their territory. Yipping calls are made when the family gathers. Members only respond to their own family's calls and ignore those of other individuals. 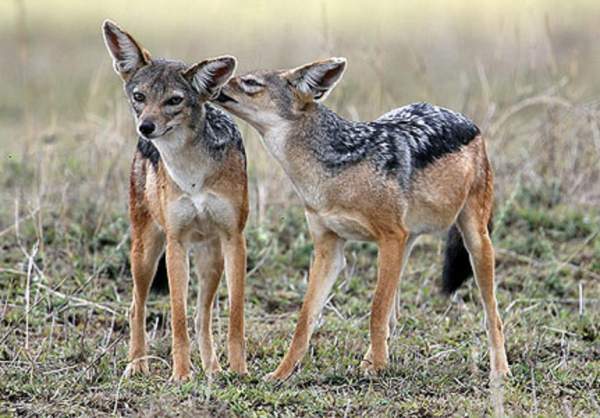 Although they have long had a reputation as sneaky, skulking scavengers, research has shown jackals to be agile, lithe hunters with close-knit, cooperative family groups. They have been successful in adapting to changing environments. Jackals are noisy. Family or pack members communicate with each other by a screaming yell and yapping, or a sirenlike howl when a kill is located. Jackals are very cunning and resourceful. Although usually considered scavengers-they do pick over kills made by large carnivores and frequent rubbish dumps-they also hunt and kill a variety of prey. Size: 96-110cm length, 38cm shoulder height.